For me, buying skincare for men is one of the hardest thing to do. There is a limited range of items that cater for them and as they tend to have thicker and oiler skin, typical female skincare products may not be suited for men's needs. I'm not saying that they can't or won't use some women's skincare products, but I find the pink packaging and floral scents with some of the best lotions and creams will generally scare them away not to mention make it highly unlikely for them to throw into their gym bag and carry it around for use. That is why I'm always curious when I hear about new products launches that are marketed to men. Here are 2 recent ones that caught my eyes this week. This is an Aussie brand created by George Cupac in 2008 for all the discerning men who have to tolerate the harsh Australian outdoor conditions and today's hectic lifestyles. The Mr. range are made with native Australian plant extracts like tea tree oil, lemon mytle and jojoba oils. Their product range caters for men's face, body, grooming and hair removal and also have a comprehensive 41 salon treatment professional products. 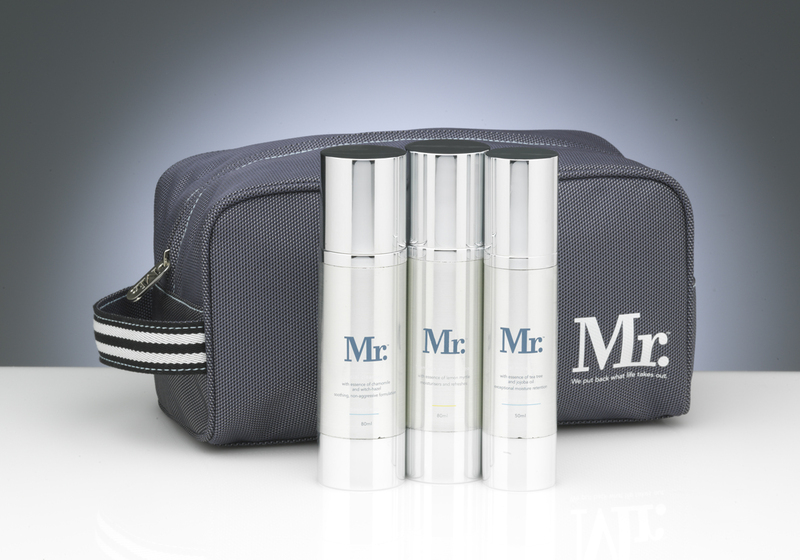 I'm liking what I see in the range and their travel kit or firming eye gel could perhaps be a splurge for your discerning man? Mr. Range is available online or exclusively at shaver shops and selected salons. 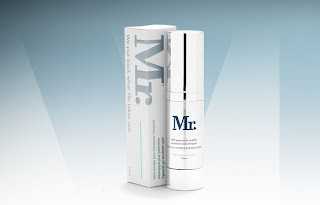 US based brand that believes in bringing quaility men's grooming stuff that doesn't cost arms and legs - sounds like any man's kind of product really. EMJ believes in keeping this simple and honest and provides straight forward products to cater for skin, hair, body, shaving and kits for travel (and gym bags). I'm currently debating whether to add their travel kit to Mr. Yoyo Xmas present list; seeing that the last face cream I bought him has been neglected for over a month, I'm hoping I will have more success with this kit if I do purchase it. 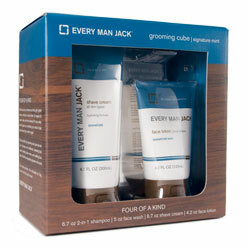 Every Man Jack is available exclusively at David Jones. Labels: Every Man Jack, mens skincare, Mr.